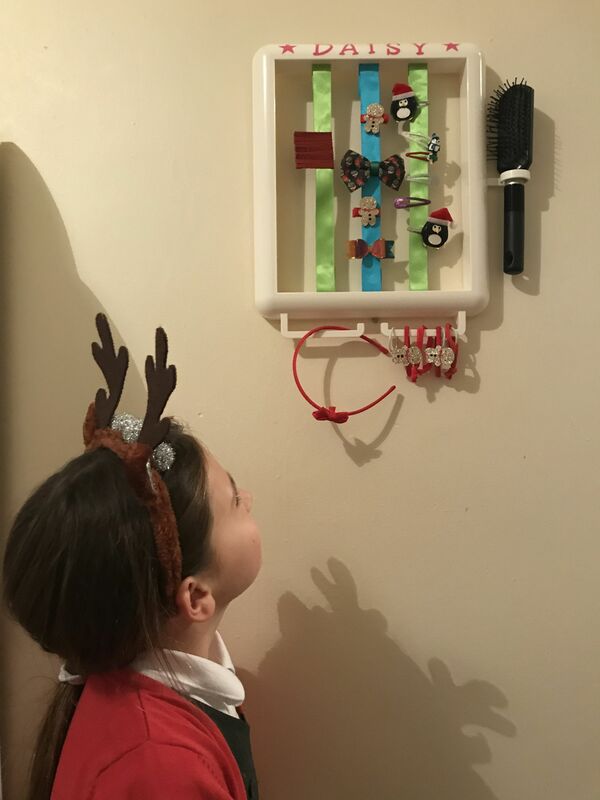 The Hair Helper Review~Organising our Christmas hair accessories. Getting out the door on a school day can be a challenge – who am I kidding, it can even be a challenge on a weekend even when there’s two of us trying to keep them in check! We have a typical morning routine after breakfast of teeth and hair brushing before getting shoes on. Most days we hunt about for which sink their toothbrushes have been moved to and then the challenge of finding the hairbrush and the last minute hunt for who last saw a hair bobble as the once over spilling several hair bobble pots are now empty. I have to say it’s not just Daisy my 9 year old moving the hair bobbles around, I’m guilty a well. So when we were asked to review The Hair Helper I was pleased that the great hair bobble hunt will be no more. Not only was I hopeful that we will now have a fixed place for hair accessories, I was also pleased that this could really help Daisy gain more of a liking to styling her hair. Daisy didn’t have much hair until she was 3. From 3 onwards she really struggled to let anyone brush her hair without quite a bit of fuss. Even with a tangle teaser style brush she voices her dislike, loudly! So anything to encourage her to be more positive about hair care is a real positive for us. Daisy loves to organise things in her room, and so as predicted she spent ages happily setting up her Hair Helper with us. What’s great about the Hair Helper is that that you can involve your child in keeping all their hair accessories neat and tidy in one place. The Hair Helper comes in white or pink and comes with colour customisable ribbons to house all different types of hair clips and grips. The bobbles hang off the end of the frame and a hair brush at the side. You can personalise your Hair Helper and add in picture stickers as well. As you can see Daisy has 2 simple stars either side of her name. 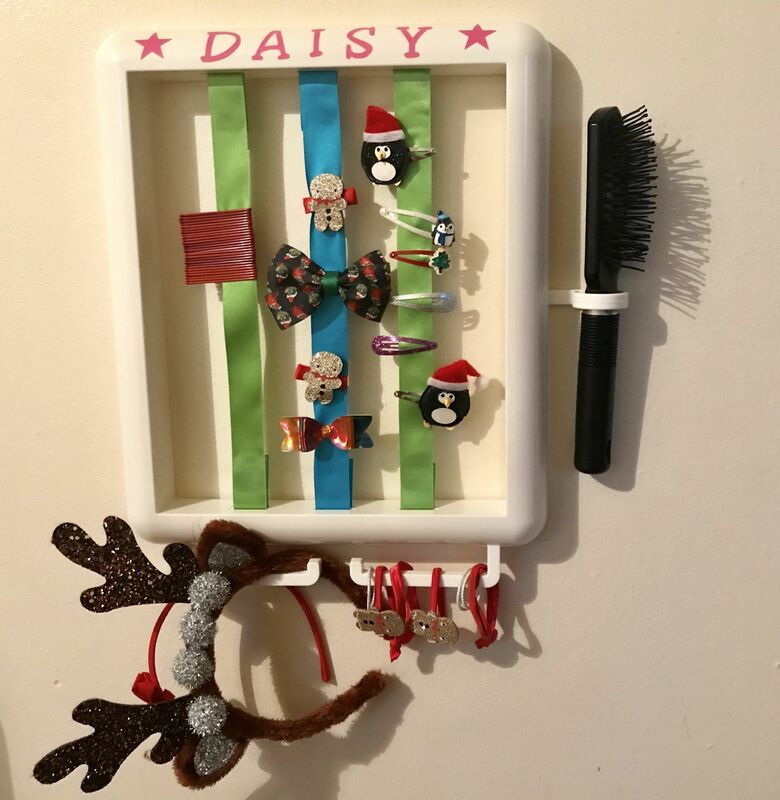 Now the festive period is upon us, I have set Daisy’s Hair Helper up to be Christmas themed, and have placed her old and her new Christmassy hair accessories on it, it’s a real cute addition to her wall in her room. 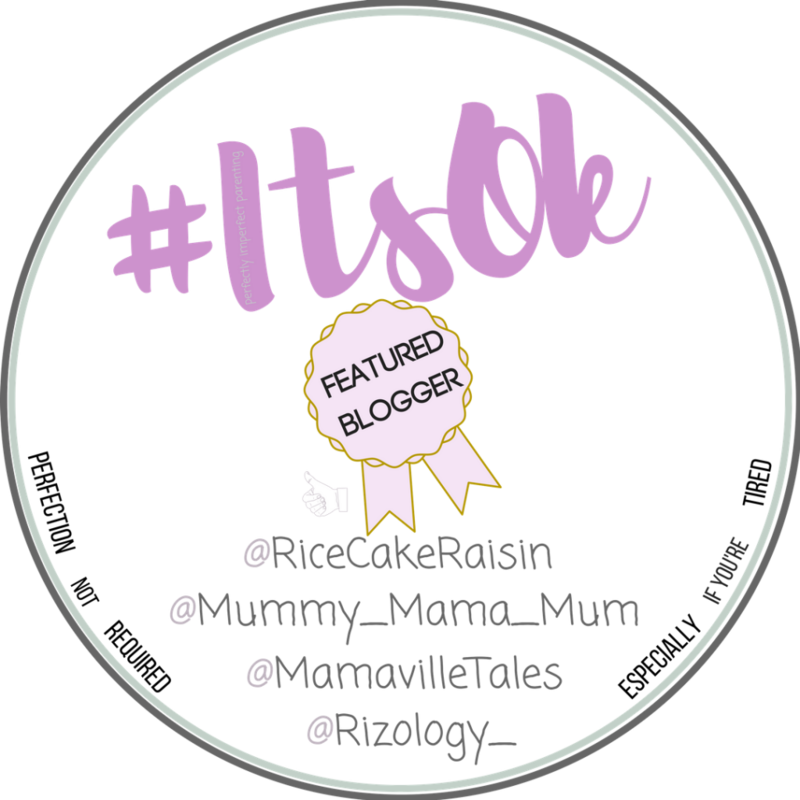 I was gifted The Hair Helper for the purpose of this review and as always the thoughts and opinnions are all my own, with the help of my little helper Daisy! 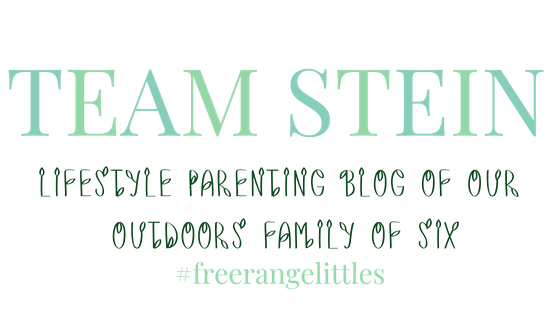 "Living Arrows 49/53 ~ December is upon us!" "Living Arrows~50/53 Fresh December Air"